Circular lighting is the transition from the light bulb as we know it today to a system, where light bulbs retain part of their value even after use or broken. With circular lighting a light bulb is reused, repaired, upgraded, and the parts that cannot undergo repairs or upgrades are recycled. Circular lighting allows for a longer product life cycle, cost savings, reduced waste and environmental harm. With the traditional linear model, we extract raw materials constantly in order to constantly produce. The life cycle of a lightbulb starts at the manufacturing and after it is used by the consumer, ends in the trash. This method only works if we consider that we have infinite access to raw materials. Once the product is used, it has no worth and become waste. Our circular lighting system gives each product a longer life cycle, we reduce waste by looking at a product as a raw material bank.  Once we have your lightbulb back, we can easily repair it, reuse its components, or upgrade the light in order to give it a second life. How we close the loop? We currently manufacture smart lighting systems which gives us the technology and the know how to take back your led lights and repair, reuse and upgrade them. In this way we can guarantee a product life time of between 10 t0 20 years.  Manufacturing electronics parts and lightbulbs with minimal impact. Replacing and repairing different components. Upgrading units with the latest technology. Parts that cannot be repaired are recycled. Evaluate respect of circular lighting model using our star system. If you are a manufacturer let us evaluate your lights and production services to assess how you fit on the circular lighting model. We rate your production using a star system, with this you will be able to see where you stand and know-how and if you can improve production.